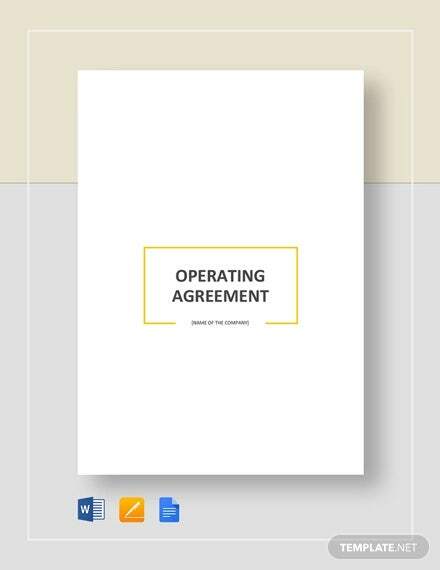 Operating agreements templates are documents that a limited liability company (LLC) will want to draft in order to maintain control over its own operations. 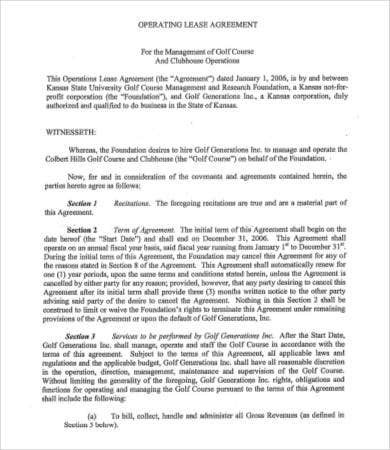 This kind of agreement states the terms and conditions under which the members of the LLC agree to operate. It is the operating “law” of the company. 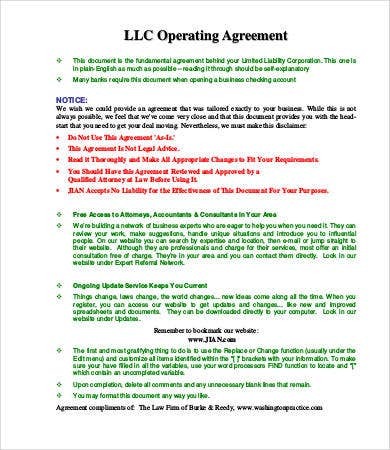 If you’ve just started an LLC and want to maintain your autonomy, or if you are an established LLC sick of being managed by the default government mandates, you should find an Agreement Template in this collection to suit your particular needs. Download any of them now as free PDF and Word documents. 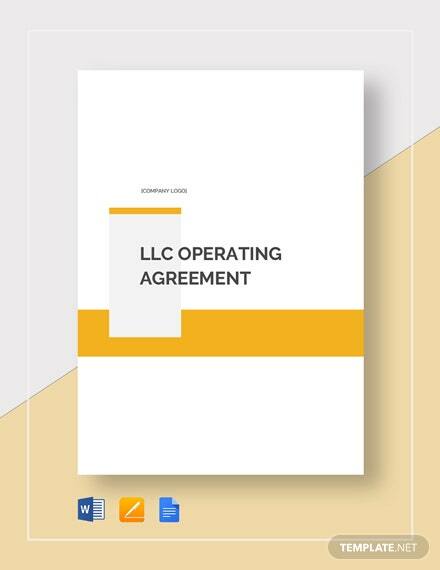 In some places, an Operating Agreement is not a necessary document for an LLC. But it is a mighty useful one, because without it, the local government rules will come into effect to govern your workings. Sometimes you will be required to present this document on registering your LLC. In the absence of this agreement, you will have to abide by the standard government bylaws. 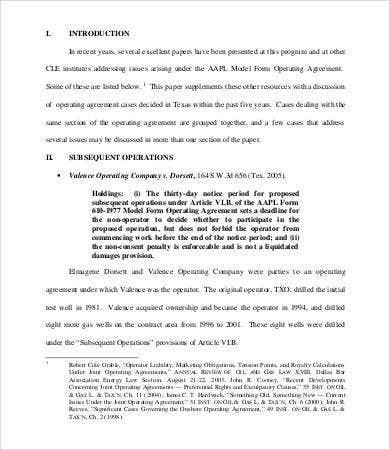 What Does the Operating Agreement Do? If an LLC is a sole proprietorship, the terms and conditions stated in these agreements will govern the LLC’s business and workings. 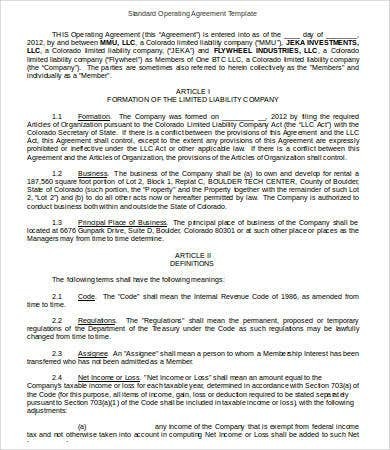 If it is a multimember LLC, the operating agreement will act as a sort of partnership agreement with its members. What Is an Operating Lease Agreement? 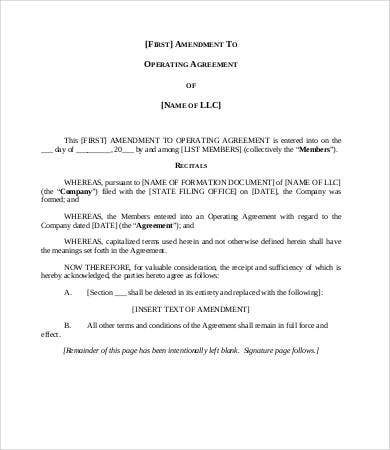 The Operating Lease Agreement Template is the odd one out in this list of operating agreement templates. 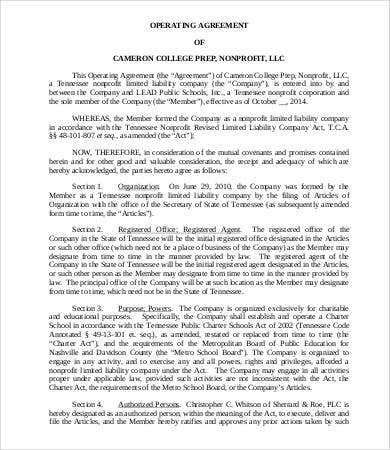 While we have provided a useful range including agreements for nonprofits and partnerships, the operating lease is quite a different bird. 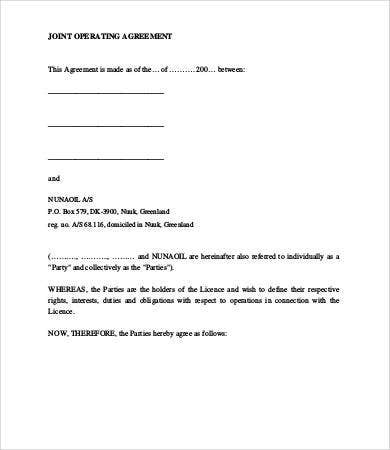 This agreement is more similar to a Consulting Agreement Template. Using this agreement, you agree to lease a product or service for only as long as you need it. A regular “finance lease” lets you rent a product or service for as long as it is functional, whether or not you need it. 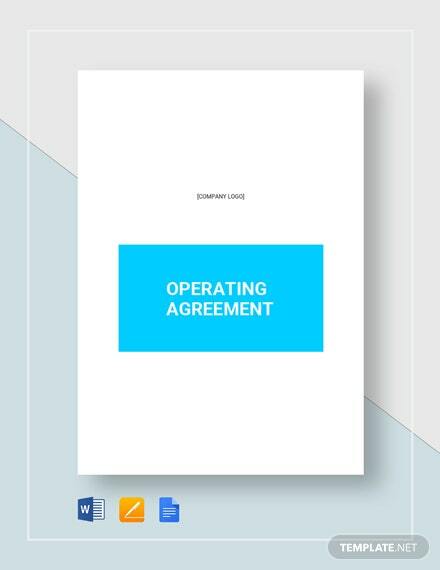 We have also included an Operating Agreement Amendment Template, whose purpose is to modify or add to the terms and conditions stated in the original agreement. 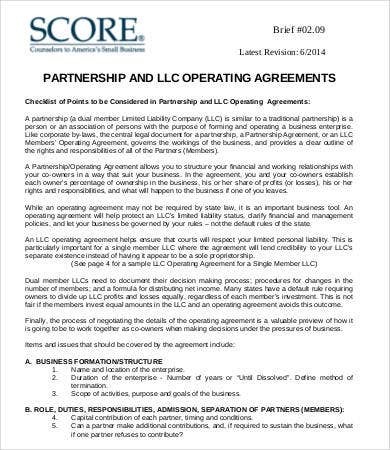 This type of operating agreement is the most evident example of a Partnership Agreement Template. 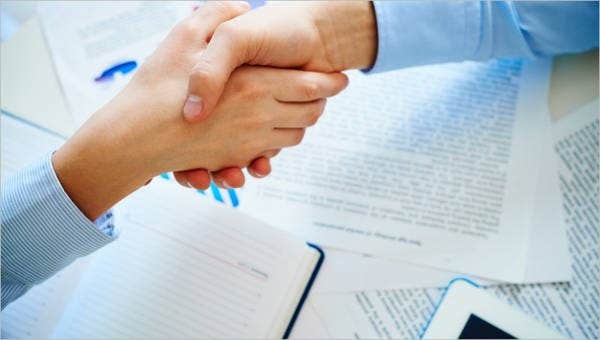 In a joint operating agreement (JOA), two independent businesses agree to operate within their jurisdictions under certain conditions in relation to each other. This protects them from failing alone and from monopolizing the market. Examples of industries that use a JOA are the oil and gas industries. 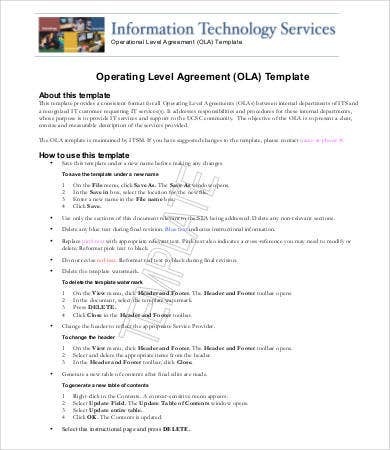 How Do I Use These Template Agreements? These samples are meant merely as examples to guide you in drafting your own operating agreement. If you are able to modify them to suit your needs, it will be a great time-saver. Download any of these samples now for free as Word and PDF documents. They will come in a zip file for faster downloads, so make sure you have an archive program that can open them.